Do you live in a mult-level home? 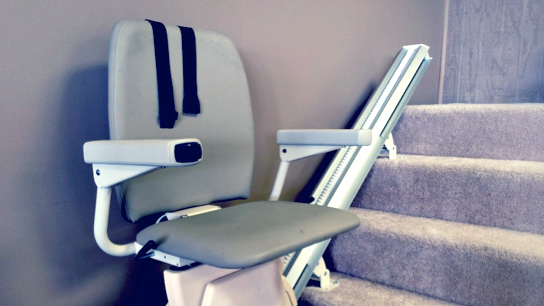 Would a engineered lift chair improve your quality of life? 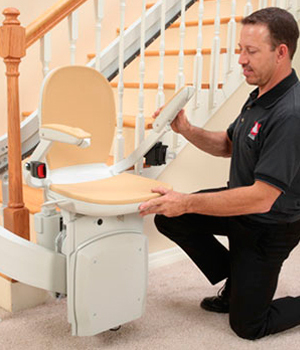 A stairlift in your multi-level home is a safe and affordable way to win back your independence. 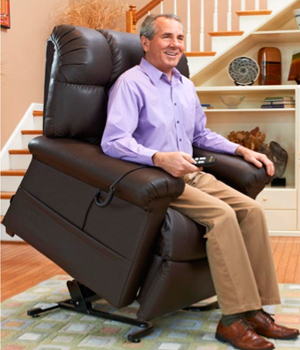 So much more than just the average recliner, a therapeutically engineered lift chair takes the struggle out of standing up from a seated position. And in zero gravity position … it’s like sleeping on a cloud! Missing that basement workshop? Wishing you could access that upstairs craft room? Your master bedroom and bathroom are not on the main floor? A stairlift will open the door to the rest of the house. You know…that part of your beautiful home that you can no longer access because stairs are too difficult to use. Installation is a breeze, and you’ll be pleasantly surprised by the cost. Add value to your home. Call us today for a free in-home evaluation and quote. 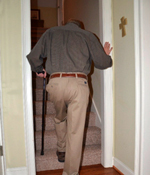 Aging, chronic illness, or injury can make sitting and standing difficult! A top of the line lift chair allows the user to stand easily with a touch of the button to answer the door, check an item on the stove, or stand to greet your loved one. With dozens of models to choose from, you will find the optimal combination of size, weight capacity, options, and accessories. Top models feature controls with both infinite positioning plus single touch auto-position for sitting, TV watching, zero-gravity, and Trendelenburg positions.